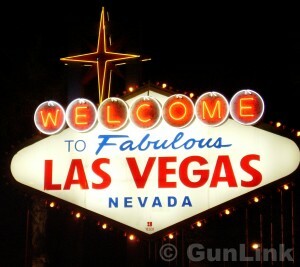 The GunLink team has descended Las Vegas, Nevada – soon to be joined there more than 60,000 industry professionals – to learn about the latest and greatest developments in the shooting, hunting, and outdoor trades. The event, of course, is the National Shooting Sporting Foundation’s SHOT Show. We will be walking the lanes and popping off rounds from the newest firearms to hit dealers’ shelves (or ones that haven’t even hit the shelves yet) at SHOT Show Industry Day at the Range. Then, it’s off to scour the 630,000 square feet of exhibit space at SHOT Show proper to hear about the industry’s latest innovations directly from the 1,600 exhibitors in attendance. By the way, if you happen to be one of those exhibitors, check out this great opportunity we have for you in the GunLink directory. We even plan to carve out some time to pop in to the winter Army, Navy, Military Expo again this year, which partially overlaps with SHOT. We know that you love firearms and gear almost as much as we do, so we will be telling you all about what we find right here, as well as on the GunLink Forums, where you can join the discussion about what we’re covering and give us suggestions about what you want to see. We will also be giving live updates the entire time on Facebook, Twitter, and Instagram to watch the show unfold. It’s the next best thing to being there which, we have to admit, is pretty amazing!